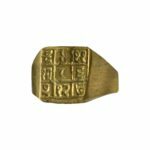 Product code: SVBAMI37N Category: Tantra Mantra/तंत्र-मंत्र. Shatkarm Vidhan Book (षट्कर्म विधान) is an important book, in which information about tantra shastra is hidden. – by Yogeshwaranand. Shatkarm Vidhan Book: Shatkarm Vidhan Book is an important book, in which information about tantra shastra is hidden. Buy Online world famous preceptor Dr. Narayan Dutt Shrimali​'s Authored​ Book, "Gopniya Rahasyamay Siddhiyan Book" for Gopniya and Durlabh Mantro Ke Rahasymye Tantra etc. Buy Online world famous preceptor Dr. Narayan Dutt Shrimali​'s Authored​ Book, "The Power of Tantra Book" to Learn Tantric Methods.